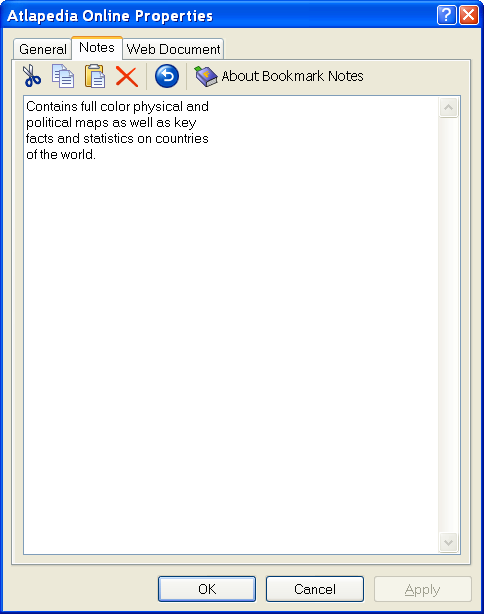 Bookmark Notes - add comments and notes to your Internet Explorer bookmarks, Favorites, internet shortcuts. Bookmark Notes free trial version is available for immediate download. 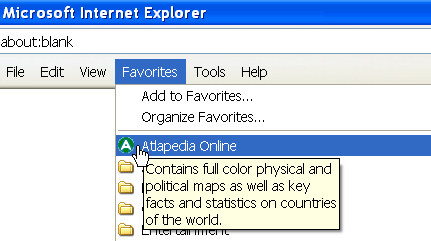 With Bookmark Notes you can add comments and notes to your Internet Explorer bookmarks. 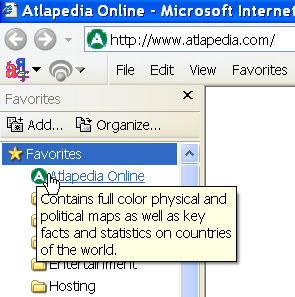 When you hover mouse pointer over the bookmark, a popup window with your note will appear for you to read. 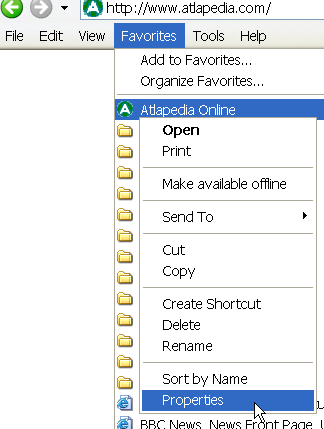 Click the right mouse button to activate the context menu for any Favorites item (internet shortcut), and select the Properties menu item. The properties dialog will now contain a new Notes page where you can add whatever text you want. You can edit the annotation; it will be saved when you click either the OK or Apply button.